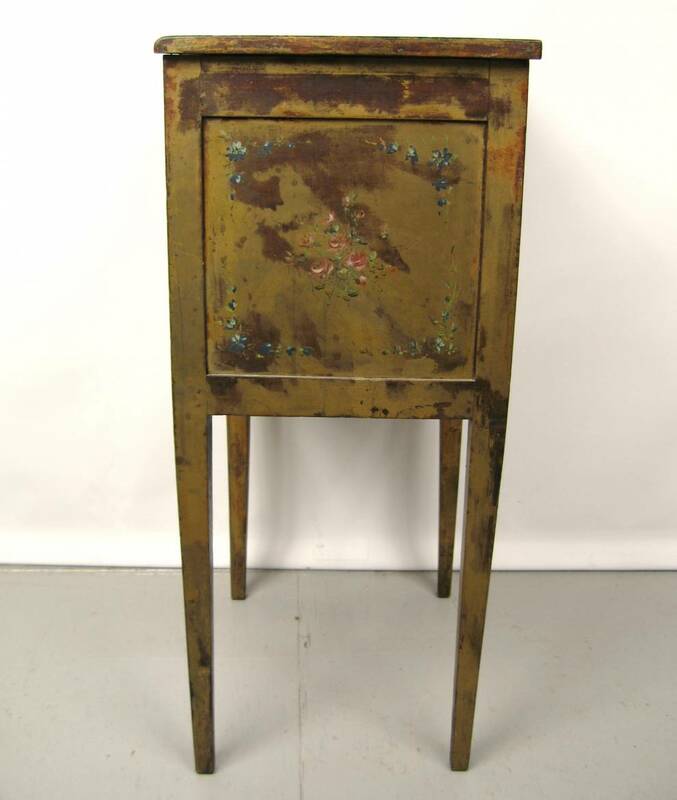 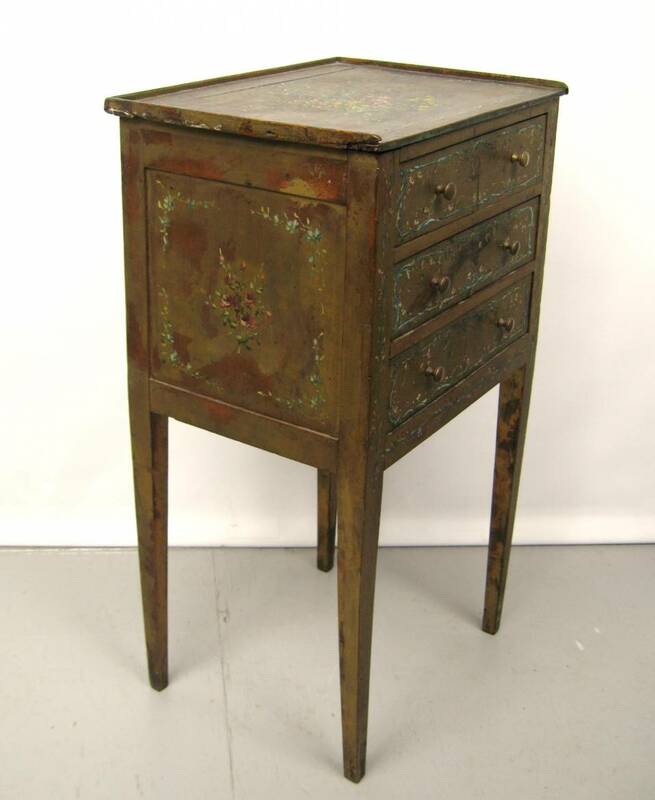 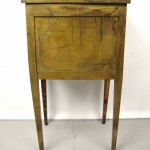 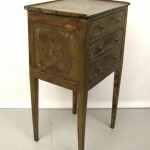 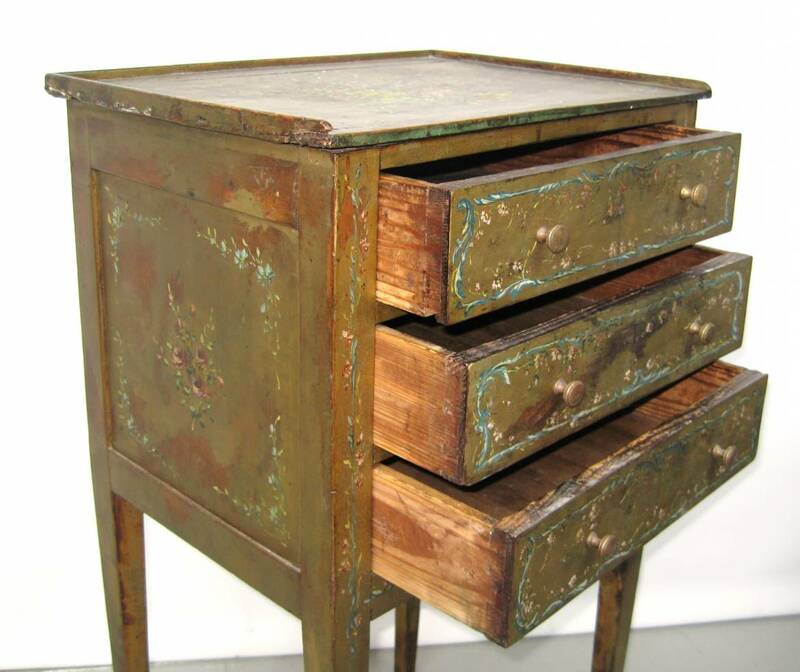 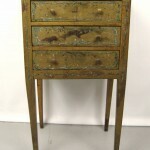 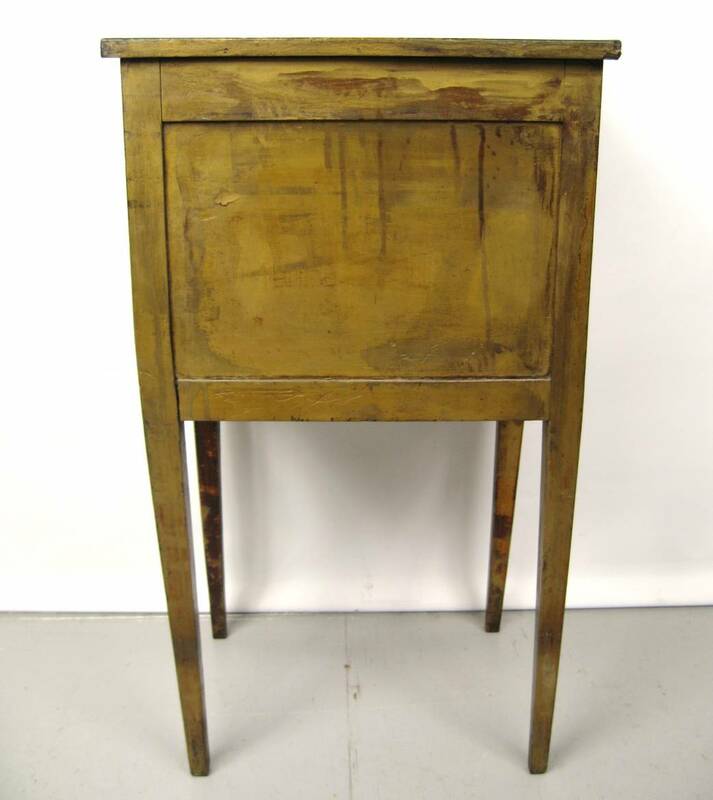 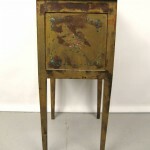 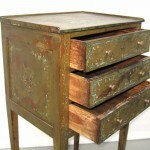 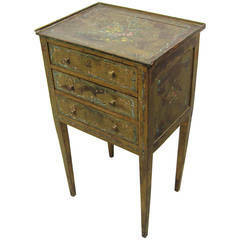 In person this is a gem, Petite in size, perfect as a side table or tuck your jewels away. 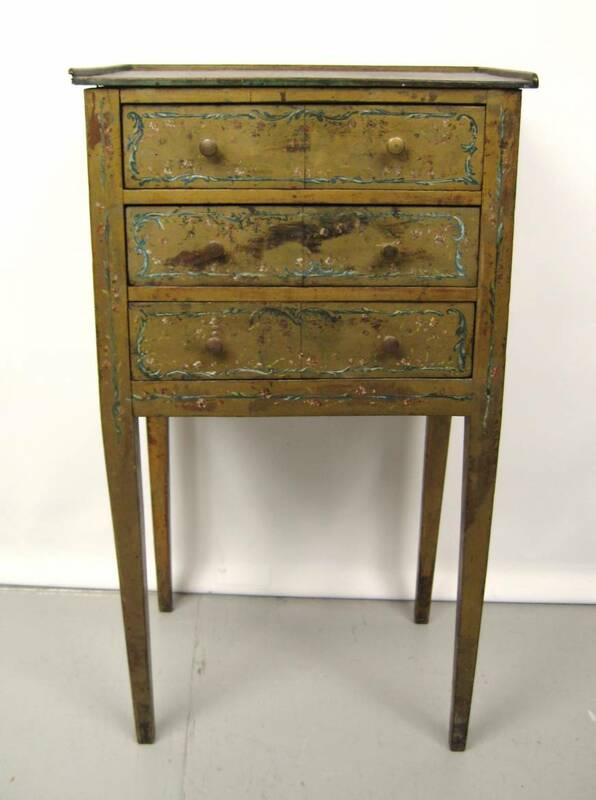 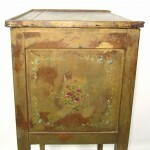 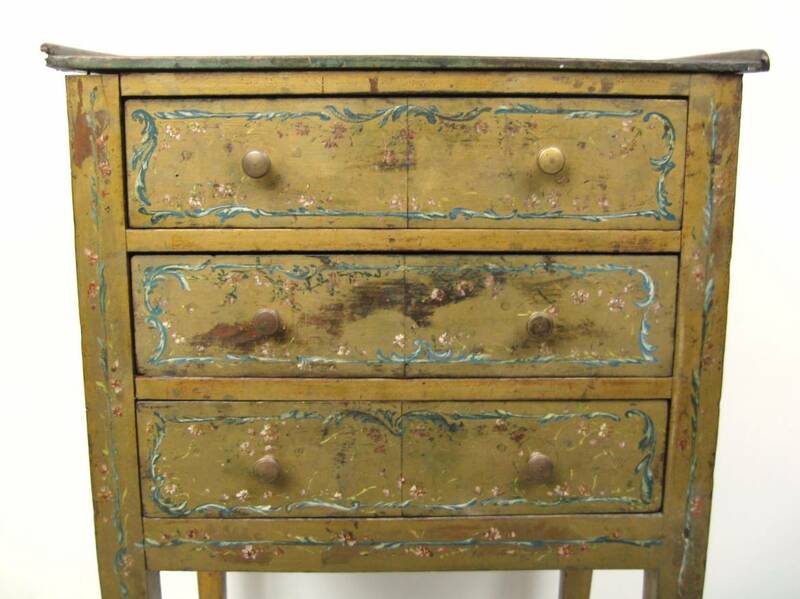 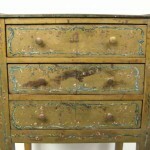 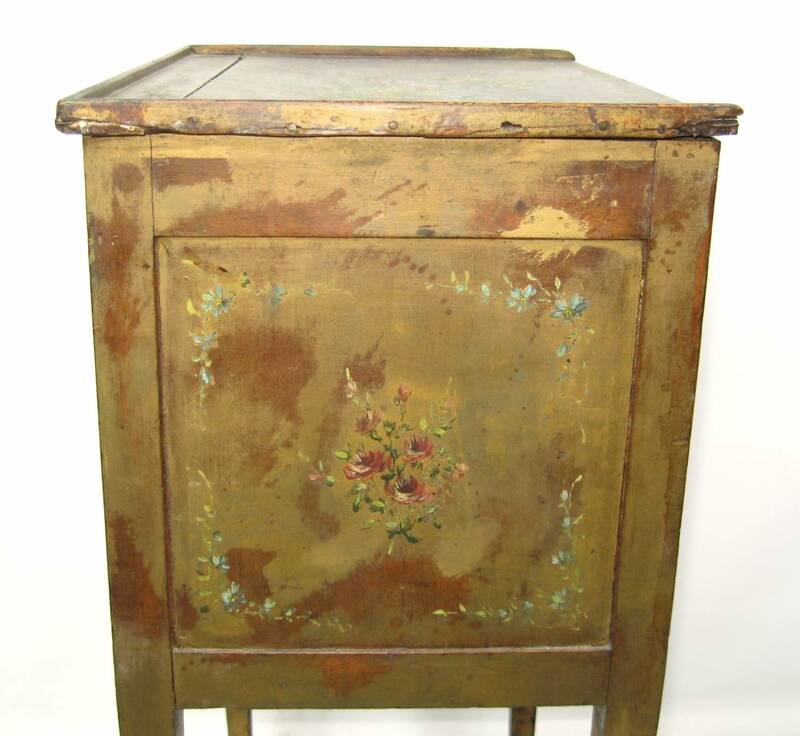 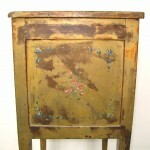 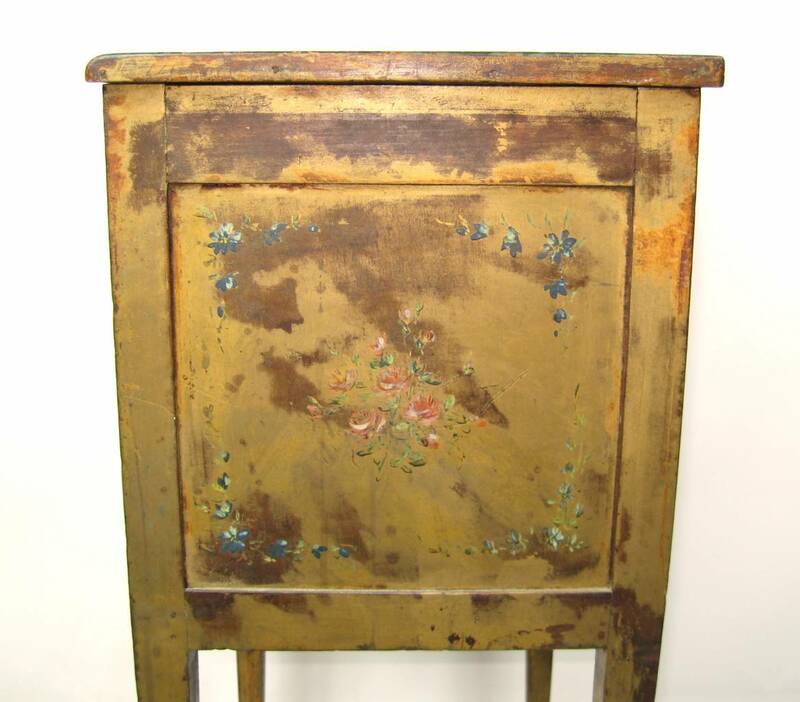 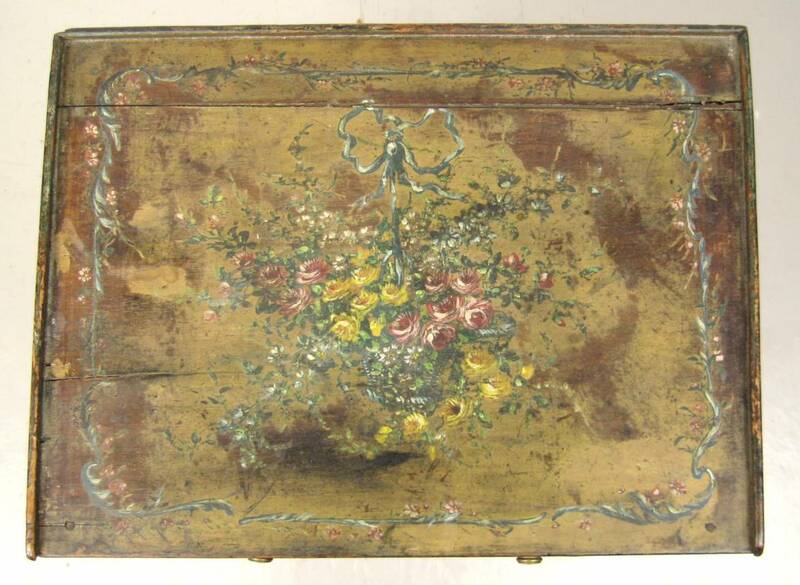 Totally hand-painted three-draw stand, delicate floral design all-over it. 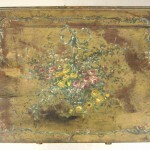 13.5″ w x 11.75″ D x 3.13 H.